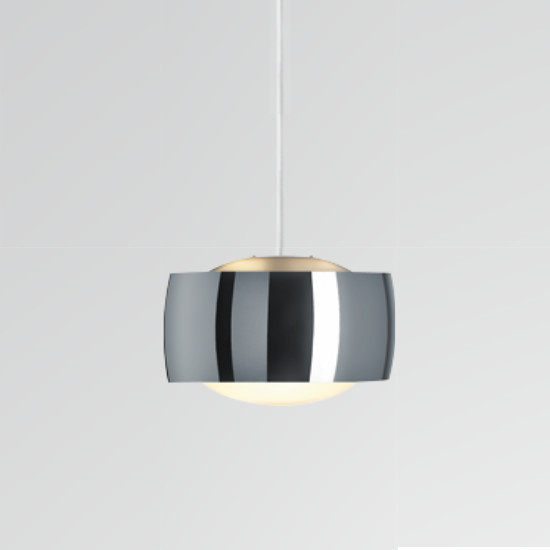 The Grace CI pendant light high gloss is one of the most elegant lighting solutions to our time. A wide ring made of polished aluminum forming the lampshade, which receives every ray of light from the outside by its large surface area and gorgeous effects magic in the room. The ring is closed at the top and bottom by a vaulted glass bowls, creating a glare-free lighting is produced. The check-in lighting system from the house of oligo suitable for its simple but elegant appearance to any room modern. It is an absolute eye-catcher over the dining table, but also creates an appropriate atmosphere in meeting rooms. The bulb can be replaced without tools, a high level of comfort, which highlights the quality of production.